Chambray is a lightweight cloth woven with a white weft and a coloured warp. * This means it always has a white selvedge and has a lovely faded look to it. These new printed chambrays have cute anchors and spots on them, making them ideal for a grown up shirt dress, a man’s shirt or use them to make fun kids clothes. 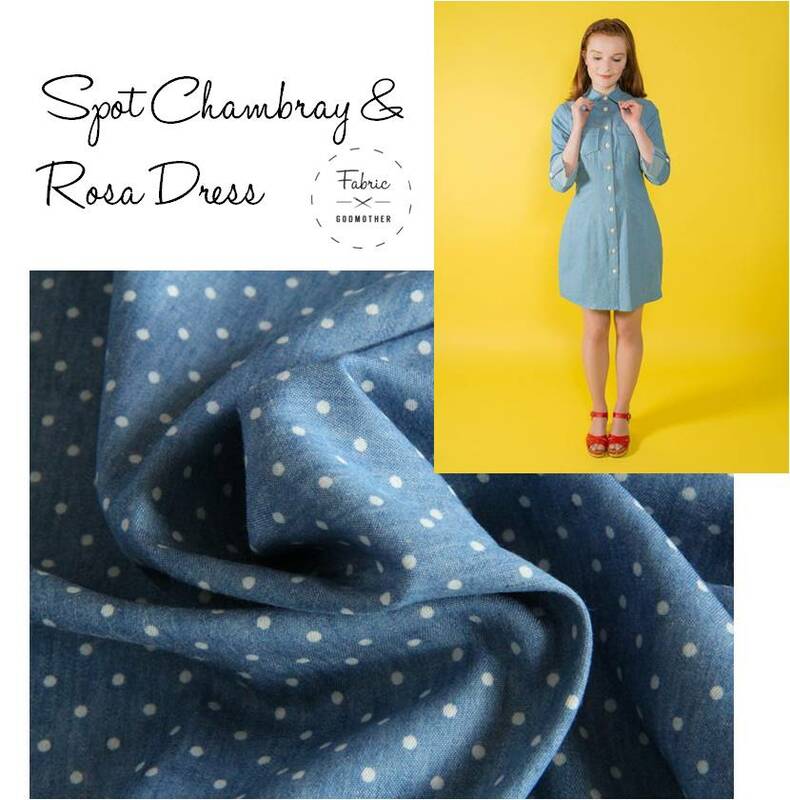 Tilly and the Buttons Rosa dress is perfect for a printed Chambray, try the Spot Chambray in blue for a cute shirt dress to wear all year round. 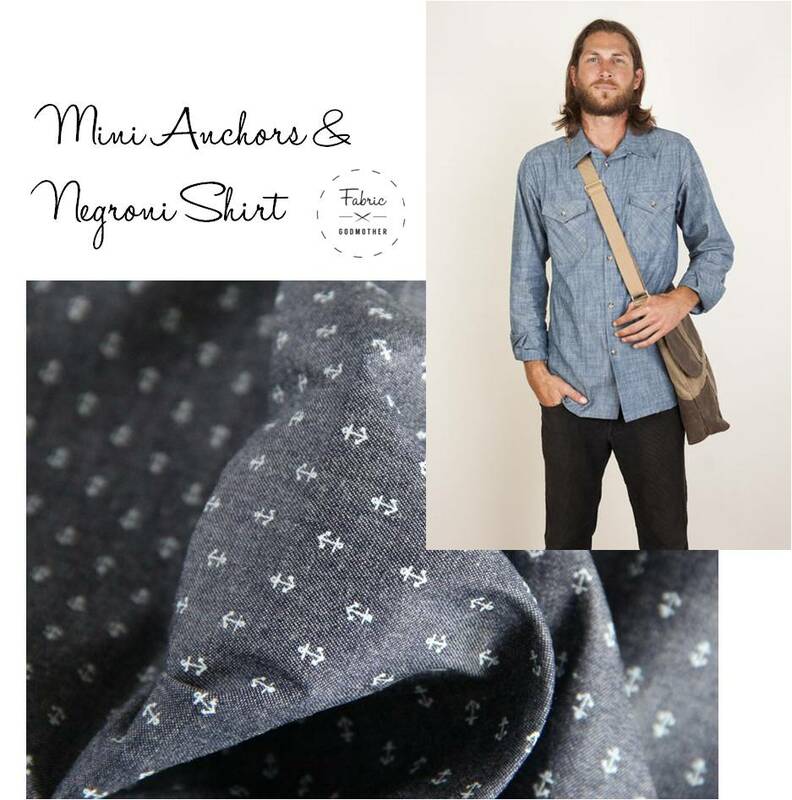 Fancy doing some selfless sewing (Brownie points for making Christmas presents) make a man in your life the Negroni shirt in this Tiny Anchor print chambray. 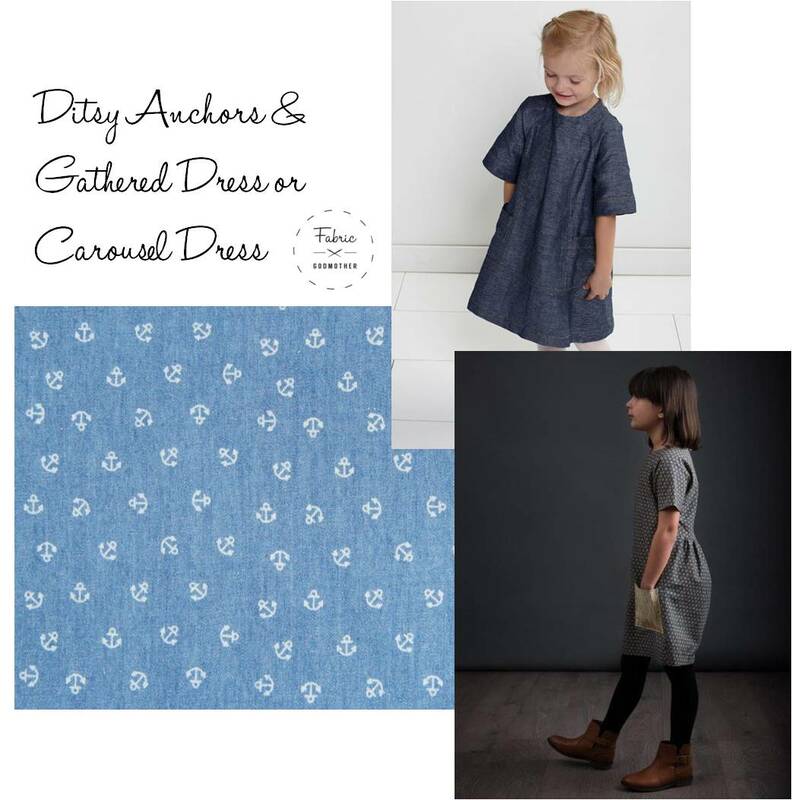 Ditsy Anchor chambray is the prefect fabric for little people, it wears well, is soft against their skin and hides dirty marks well! I love both the Gathered dress and the Carousel dress. Wool Jersey – soft, snuggly and super warm. You want these!